Cavalor PasSand is designed to help remove sand from the GI tract. Cavalor PasSand is designed to be to help alleviate ingested sand from the colon. Unlike straight Psyllium products, Cavalor PasSand is a balanced blend of Psyllium, mineral oils and essential oils which has been shown to improve the removal from sand from the colon. The essential oils are also soothing on the irritated wall of the colon. 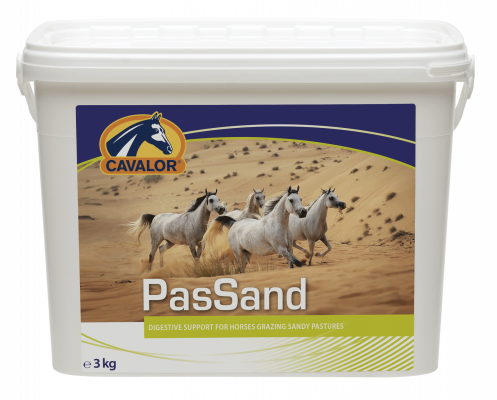 Cavalor PasSand is preferred by horses who are fussy eaters, compared to other similar products.